A recent University of Texas study by Alan Kuperman and Lara Kirkham noted that all U.S. nuclear power plants are vulnerable to terrorist attacks. This comes in the wake of the nuclear disaster caused by the 2011 earthquake and tsunami in Japan and reinforces the need to have reliable and effective emergency response plans. Although the U.S. requires comprehensive planning, training and exercise, these measures may not ensure the effectiveness of response plans due to negotiated levels of play for power plant exercises. 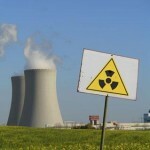 The Federal Emergency Management Agency (FEMA) and the Nuclear Regulatory Commission (NRC) require a full-scale exercise for the 10-mile radius emergency planning zone (EPZ) surrounding a power plant every two years, and an exercise in the 50-mile radius ingestion pathway every five years. These exercises engage local, county and state government as well as the operator of the plant, and involve all aspects of emergency response plan execution. FEMA and NRC staff evaluates each aspect of the plan, with noted deficiencies corrected on the spot or through a formal corrective action process. These exercises ensure the responsible private and public sector agencies can effectively coordinate the activities for public warning and notification, public protective actions and mass evacuation and public health and safety. Due to caveats in the design and execution criteria, these exercises may not be meeting the intent for validating the effectiveness of nuclear power plant response plans. FEMA and the NRC allow local and state jurisdictions to select a window to conduct the exercise as well as to implement certain activities out of sequence from normal response phases and timelines. Both of these are detrimental to evaluating the effectiveness of response plans. In his book Mission Improbable, Lee Clarke identifies plans developed for nuclear evacuations as “fantasy documents” because the plans are based on assumptions due to lack of actual disaster experience for the type and location of the event. Ronald Daniels, Donald Kettle, and Howard Kunreuther in their edited volume On Risk and Disaster: Lessons from Hurricane Katrina also note that “…almost all forecasts of the outcome of rare hazards are subjective conjectures of what might happen, conjectures that are known to be subject to a number of systematic, and potentially quite damaging, biases.” Therefore, since so much of the emergency response planning involving power plants falls into this rare hazard category, it is imperative that critical assumptions be validated where feasible. – Evacuees will follow the instructions of the notification to evacuate. – Evacuees will follow instructions of traffic control signs. – Emergency responders will carry out their assigned duties. – Evacuations will be conducted in accordance with state and local plans. In any emergency response plan, there are independent and interdependent activities. Many of the independent activities must be conducted simultaneously due to timing with the response phases. Interdependent activities have a critical path where the sequences of activities are vital to the achievement of expected outcomes. Synchronization is defined as the coordination of events to operate a system in unison. Both independent and interdependent activities must be synchronized to achieve the expected outcome of the response plan. A critical aspect of planning is time estimation and one of the most common planning fallacies is to underestimate the amount of time it will take to complete an activity. Because jurisdictions can select an exercise window that is conducive to their staff schedules, this provides an unrealistic expectation concerning the time required to mobilize critical staff. For example, a state may conduct their emergency operations center (EOC) exercise during the evening, allowing the full-time staff to remain at work, avoiding issues of rush-hour gridlock and other issues that could affect mobilization of staff and the EOC. The EOC is the hub for coordinated decision-making and public warning and its mobilization is early on the list of critical path (interdependent) activities that must be accomplished. If there is delay in accomplishing this activity, all other activities in the critical path will be delayed. Out-of-sequence play can lead to other false or unrealistic expectations of plan effectiveness. Because these activities are not simultaneous with all other activities in that sequence of the event, competition for resources such as personnel, vehicles and equipment does not exist. The driver of the fire apparatus doing route alerting could be the same critical volunteer in the municipal EOC. The reception center manager at a site over 50 miles from the power plant could be the haz-mat team member responsible for emergency responder decontamination. Having these activities out of sequence also gives an unrealistic perception of the complexity of synchronizing the myriad tasks associated with an unrehearsed short notice mass evacuation event. Because these activities are being demonstrated independently of the overall exercise as well as many of the other concurrent activities, the expectation of capability, capacity and possibly even feasibility may be unrealistic. An actual mass evacuation of the public for the biennial exercise would present significant challenges and would not necessarily replicate the actual conditions of a power plant evacuation. While not practical, the inability to exercise this critical aspect does present vulnerability. The recent mass evacuation experience during Hurricane Rita in 2005 identified cause for concern, when during this evacuation more people evacuated than anticipated, which created traffic jams and delays. People were in vehicles much longer than anticipated and had insufficient food, water and in some cases, fuel for their vehicles. Also noteworthy are those that do not, or cannot self evacuate such as the elderly and those without means of mobility. The means and content of information provided to citizens as well as their age, economic and familial status have influence on when, how and if they will evacuate, as reported by John Sorensen, in his article “When Shall We Leave? Factors Affecting the Timing of Evacuation Departures.” Here again, if the exodus of citizens is not synchronized with the critical path elements of the evacuation, cascading effects may reduce the effectiveness of the plan. Synchronization is critical. While full-scale evacuations of the communities surrounding a nuclear plant during exercises may not be practical, the ability to challenge and validate as many planning assumptions as feasible will increase the likelihood of successful response plan implementation. The opportunity for state and local jurisdictions to pre-mobilize key staff and conduct critical path activities out of sequence, have the potential to render radiological emergency response plans the fantasy documents alluded to by Clarke. Author: Timothy Sevison is a doctoral student in the Department of Emergency Management at Jacksonville State University and works in emergency management planning, training and education. He can be reached at [email protected].